The Bahrain Center for Human Rights expresses its grave concern over the continued use of excessive force against peaceful protesters by the authorities in Bahrain. Abbas Abdulnabi Marhoon, 19 years-old, is suffering from severe injuries after he was shot with a tear gas canister in the head on the 16th of October 2013. Witnesses reported that Marhoon was shot directly at the head and was taken, unconscious, to a nearby medical center: the Hamad Kanoo health center. Due to the seriousness of his injuries, Marhoon was transferred to the operation room in the Bahrain Defense Force Hospital. He was shot near the brain and eye, which caused him to suffer from fracture in his skull, serious bleeding, and he is currently being closely monitored. The family stated that Marhoon is still in the Intensive Care Unit and is unconscious; his condition is not stable. 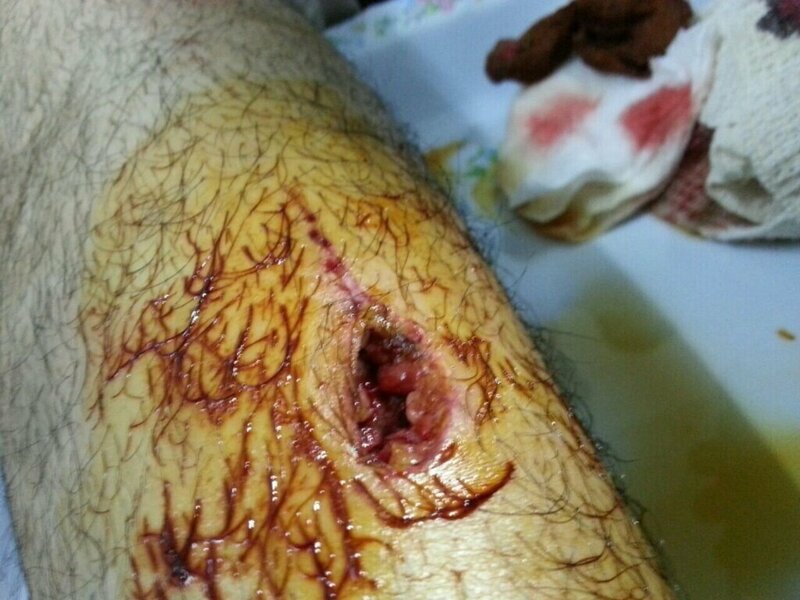 As Marhoon struggling for his life, recently leaked documents from Bahrain Watch show that the authorities in Bahrain have made plans to import a massive shipment of tear gas canisters from Korea. It was one such canister that Marhoon was injured with, and the police have been documented in many videos using these weapons illegally. The leaked document is a request for a bid to supply Bahrain with 1.6 million tear gas canisters and 90,000 sound grenades. Bahrain Watch launched a campaign to stop this shipment and demands a stop to all tear gas sales to Bahrain. 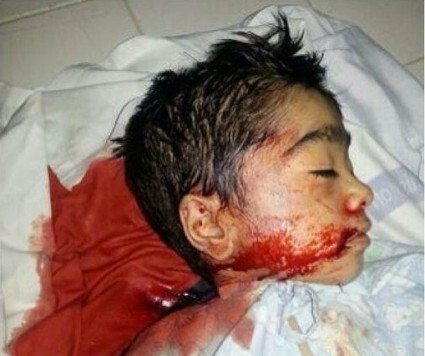 Since the start of Bahrain’s uprising, approximately 39 persons were killed by tear gas, several of them due to injuries caused from directly being shot with tear gas from close range; there are several children among them. – Put pressure on the Government of Bahrain to stop its use of excessive force in response to the continued peaceful protests, and to consider a meaningful solution to resolve the persistent political issues of instability in the country. In an interview with Press TV, Ali Al Fayez, a Bahraini activist in London, shares his thoughts regarding the ongoing crackdown by Bahraini regime forces against protesters. Press TV: Ali Al Fayez, the United States in particular has been criticized for the past at least few years for not doing enough for the case of the opposition in Bahrain but at the same time, we see the US along with some other Western countries like the UK who are known to sell arms most recently the US to these Persian Gulf countries. Isn’t that in a way emphasizing indirectly their support for these regimes such as the one in Bahrain? Al Fayez: Thank you for inviting me. I think it is not indirect; it is a direct support and coverage for the Al Khalifa regime in Bahrain. The United States and United Kingdom are not only supplying weapons and supplying security know-how to the government of Al Khalifa and the regime of Al Khalifa. But they are providing them with the political coverage everywhere and they are stopping the Bahraini people to put any kind of cases in, for instance, the International Court or in Geneva. Today, Bahraini regime is standing and still continuing this killing machine because it is enjoying the support from particularly the United States and United Kingdom. Press TV: If you were to look at the US’ importance of this country, this Persian Gulf country Bahrain, the fingers are pointing at their Fifth Fleet. How much of the factor does the Fifth Fleet play in terms of the US looking the other way when it comes to Bahrain? Al Fayez: I think the Fifth Fleet is one of the factors that play a big role in supporting the Al Khalifa regime but that is not the only factor. Americans have built up their allies in the [Persian] Gulf based on their problem with the Iranian revolution after it became real on the ground in 1979-1980 and that is why they established the [P]GCC, ([Persian] Gulf Cooperation Council,) to counterpart the Iranian revolution for a change. Americans have built up their allies based on that and not based on the people and what the people want in the [Persian] Gulf states and that is why today they are kind of reviewing their policy and that is why they want to open up a dialogue with the Iranians. Saudis support Bahrain’s Khalifas in torturing women like Rihanna al Mousawi, who will be sentenced on 29th Sept, with no proper defence or prosecution sessions and 2 out of 3 judges are Khalifas. Nadia ali Yousef was picked up at a police check, should have been released oon 2nd Sept, now extended until 2nd Nov. and is 8 months pregnant. Zainab al Khalifa who’s NOT been allowed to walk in the fresh air since March. AFP – Bahrain’s national dialogue launched in February and aimed at ending the Gulf monarchy’s political deadlock since a 2011 Shiite-led revolt resumed on Wednesday after a two-month summer break. Opposition and government representatives took part in the Manama talks, participants said. Led by the influential Shiite group Al-Wefaq, the opposition is taking part in the dialogue while keeping up street protests to call for reform in the Shiite-majority, Sunni-rule state. Bahraini authorities in 2011 crushed mass pro-democracy demonstrations in the capital with the help of Saudi-led troops but sporadic protests have continued in the Shiite villages. BCSIR ReportThe BCHR has released a new report detailing the authorities’ attacks on children, and violations of the Convention of the Rights of the Child. The Committee on the Rights of the Child expressed its concern “at the considerable delay since 2002 in the adoption of the Child Rights” and it called upon the state party ‘to adopt, as a matter of urgency, the Child Rights” and other laws concerning the family and civil society. However, no progress has been made to date in this area. Bahrain refers to protesters who clash frequently with police forces in Shia villages as “terrorists”. Authorities in Bahrain, which has been rocked by protests for two years, have voiced “dismay” over an assessment by the US State Department of the rights situation in the kingdom. “The report includes texts which are totally far from the truth, adopting a manner that fuels terror and terrorists targeting Bahrain’s national security,” state news agency BNA late on Wednesday quoted government spokeswoman Samira Rajab as saying. The strategic tiny kingdom of Bahrain, home to the US Fifth Fleet, has been hit since February 2011 by a wave of Shia-led protests calling for the ouster of Prime Minister Sheikh Khalifa bin Salman al-Khalifa in office since 1971. The report claimed that “discrimination on the basis of gender, religion, nationality, and sect persisted, especially against the Shia population” which makes up a majority in Bahrain, ruled by the Sunni Al-Khalifa dynasty. Bahrain refers to protesters who clash frequently with police forces in Shia villages as “terrorists” it claims are backed by Shia-majority Iran. Violations against the Freedom of the Press in Bahrain are ongoing, and the Bahrain Center for Human Rights is seriously concerned about reports of attacks against journalists and the media in general. Tomorrow, the 3rd of May, we commemorate World Press Freedom day, to raise awareness of the importance of freedom of the press and to remind governments of their duty to respect and uphold the right to freedom of expression. Despite King Hamad bin Isa al-Khalifa’s pledge to uphold press freedom and reform, conditions over the last year have not improved. During the last year, several journalists and bloggers in Bahrain have been harassed, assaulted, imprisoned, and allegedly tortured as a result of their work; journalists in the proximity of pro-democracy demonstrations were regularly targeted by security forces. The BCHR has compiled the following of violations that have occurred against the media over the course of the last year. On May 16, Ahmed Radhi, a freelance journalist and blogger, was arrestedwithout a warrant by security forces at 4 a.m. after they broke down his door, for criticizing a proposed union of Bahrain and Saudi Arabia in interviews he gave to BBC Arabic Radio and the London-based exile television station, Lulu TV. He was reportedly tortured, insulted, and held incommunicado for 10 days after his arrest. Ahmed’s lawyer was not allowed to meet with him until the first week of June, nor was she told what Ahmed was accused of. The BCHR has received a letter written by Ahmed Radhi in which he stated that he was beaten on his head and chest by security forces. He was thrown on a cold and hard floor, handcuffed with his hands behind his back and blindfolded for 48 hours. Ahmed was released on 20 Sep 2012 without a trial. On December 29, renowned and award-winning photographer, Ahmed Humaidan, was kidnapped by 15 security officers in civilian clothing from a shopping mall in Bahrain, and arrested. According to Humaidan’s family, he was subjected to psychological torture. He was forced to stand up for hours while being handcuffed and blindfolded in a very cold room, holding an unknown object which interrogators told him that its was a timed bomb set to explode. 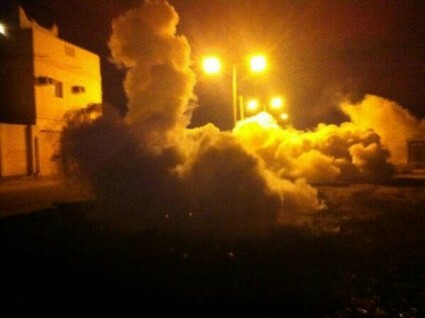 Humaidan is charged along with a group of over 30 persons of burning Sitra police station. However it is believed that Humaidan, who is still in detention, was targeted because of the photographs he takes of the ongoing Bahraini protests. Bahrain’s indefinite postponement of Juan Mendez’s planned May 8th-15th visit to the small island nation on behalf of the UN Human Rights Council sparks international concern. The Bahraini government’s decision to cancel this visit, for the second year in a row, follows a spike in national protests and flying rumors of torturing of torture within Bahraini prisons. It also falls on the heels of the internally controversial Formula One Race that was held just a few days ago on April 21st in the coastal region of al-Manamah, nearby the University of Bahrain. The Formula 1 race had to be cancelled in 2011 due to the political unrest unfolding in Bahrain that year, but the race continued on as planned last year and this year with increased security despite the mass political protests of the people. During this year’s April 12th protests of the race where demonstrators carried signs with slogans like “Stop Racing on Our Blood” and carried signs of solidarity for jailed Bahraini human rights activist father-daughter duo Abdulhadi and Zainab al-Khawaja as well as the activist Nabeel Rajab. To the credit of the Bahraini government, the April 12th protests were officially approved by the recently enacted laws cracking down on large protests, which is at least a small step towards allowing its people to have larger political voices. (Reuters) – Young men hurl rocks and petrol bombs at police. Police fire tear gas and stun grenades. Thousands gather to demand an end to a Formula One car race they see as a public relations stunt to gloss over chronic human rights abuses. But except for the odd plume of black smoke, hardly any sign of Bahrain’s two-year-old political crisis reaches the Grand Prix race site at the Sakhir circuit in the desert about 30 km (19 miles) southwest of the capital Manama. “When they talk about human rights, I don’t know what the human rights are or what it’s all about,” Formula One’s commercial supremo Bernie Ecclestone told Reuters when asked about the political situation in Bahrain. Hosting Formula One is a point of pride for Bahrain’s rulers, who pay an estimated $40 million a year for the privilege. An image of the circuit is on the country’s half-dinar note. Speaking a day ahead of the race, Bahrain’s Crown Prince Salman al-Khalifa – seen as one of the country’s more reform-minded officials – said it was a chance to bring the country together. “There are families out there – fathers, mothers, children – having the best times of their lives without regard to either ethnicity, sect or social income. So, I’m happy. And I go out there and I walk among the people and I’m comfortable,” he said. Along the palm-lined streets of the Formula One paddock, foreign women wear mini-skirts and sleeveless shirts – a blunt contrast to the full black dresses and veils favoured in nearby villages. Moving just a few hundred meters can make for a dizzying transition in the country, only a quarter the size of Luxembourg. In downtown Manama and the main roads, nothing appears amiss. But tucked just behind bland suburban strip malls, entire neighbourhoods are coated in graffiti, some decrying the race as “Formula Blood” – others calling for the downfall of Bahrain’s King Hamad bin Issa al-Khalifa. Bricks, broken wood, and burn marks are evidence of protests. Many in these mostly Shi’ite villages see the race as a ploy to deceive the world into thinking there is nothing wrong in a country they say needs urgent democratic reform. Others frame it as part of the corruption they say is widespread. “In Bahrain, Formula One brings benefits only to the individuals behind it. The people of Bahrain don’t get any benefit from the race,” said Mohamed al-Sughayer, a 61-year-old financial consultant, at a recent protest. Almost nightly clashes between protesters and police – as well as regular peaceful rallies – have hit the Gulf Arab island kingdom since pro-democracy demonstrations started in February 2011 at the height of the Arab Spring. TEHRAN (FNA)- REDRESS and the International Rehabilitation Council for Torture Victims (IRCT) issued a significant new report on torture in Bahrain. 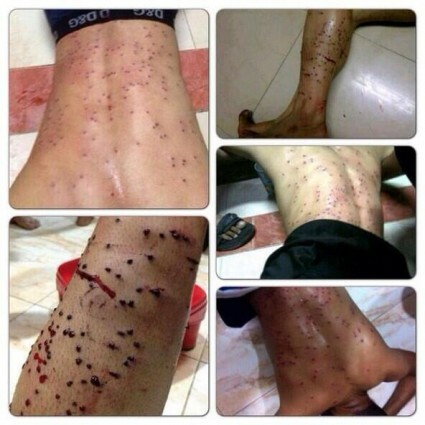 Entitled Bahrain: Fundamental Reform or torture without end? the report describes torture as an integral part of the ongoing crisis in Bahrain, bahrainf1.wordpress.com reported. Earlier Friday, the Bahrain Rehabilitation and Anti-Violence Organisation (BRAVO) issued its latest report: Resurgence of Sexual Violence as a Torture Technique in Bahrain. “Despite numerous testimonies and the findings of the BICI report the Bahraini government denies that sexual violence occurs in their prisons and detention centers. BRAVO calls for an independent review of all claims of sexual violence against detainees in Bahrain under the auspices of the United Nations High Commissioner for Human Rights. The reports come just days after the death of Colonel Ian Henderson, a British citizen who, for several decades, headed state security in Bahrain as an advisor to the government. Grave accusations of torture have been leveled against Henderson, earning him the nickname “The Butcher of Bahrain”. In 1984, he received a CBE from Queen Elizabeth, for his “services to British interests in Bahrain”. Middle East expert Emile Nakleh, who encountered Henderson in the 1970s, wrote about him on Thursday in a piece entitled: Ian Henderson and Repression in Bahrain: A Forty-Year Legacy. The Bahrain Center for Human Rights (BCHR) expresses its grave concern over the security forces’ continuation in the practice of abducting and beating of citizens, including minors. The BCHR’s Head of Monitoring and Documentation Unit, Said Yousif Al-Muhafdha, documented disturbing incidents that took place in different areas within the same week which involved abducting civilians from the street or private homes, subjecting them to severe beatings and verbal assaults, including attacks on their sect and religious beliefs. Charles and Camilla are safely home from Saudi Arabia and assorted Gulf states. They were in Saudi at a somewhat bumpy moment. The royal couple never got closer than a thousand miles from the “public killing grounds”, as they are somewhat candidly described. Had they got a lot closer, they might have seen the blood drying from the execution of seven alleged robbers. I use the word “alleged” because the UN and various human rights groups, including Human Rights Watch’s Middle East section, have argued that the trials of the men – some of whom were juveniles – conducted under sharia law, were deeply flawed. The suspects were charged with being part of a gang of thieves in the Saudi town of Abha. There was no evidence that any of the accused had killed or injured anyone. Actually there may well have been rather less blood in the aftermath of the killings than usual. The death sentences were carried out, for the first time, by firing squad. The kingdom has run out of execution swordsmen, so it is no longer possible to disconnect the accused’s head from his or her body. It was a practice which led to a gushing of much blood from the severed neck. In the same period, two of Saudi Arabia’s most prominent advocates of non violent reform – Mohammed Fahd al-Quatami and Abdullah al-Hamed – were jailed for 10 years apiece. Charles and Camilla were not alone in bypassing human rights as a discussion point with their hosts. US Secretary of State John Kerry and America’s Attorney General Eric Holder were both in Saudi in recent days. They too decided not to raise human rights. I hate to use the phrase, but the per capita execution rate in Saudi is higher than in any other country on earth. I have blogged before on the issue of Saudi-financed warfare. I have yet to be contradicted on the claim that there is not a British military boot in overt or covert action anywhere in the world, where the enemy is not in some way financed by Saudi interests. Saudi claims of “busting a spy ring” involving Iranian and Lebanese nationals this week smell of yet more dirty tricks by the creaky House of Saud. But the repeated formula for attempting to smear Iran used by the Saudis and their Western and Israeli partners is in danger of becoming a parody. Saudi authorities detained 18 individuals across the kingdom this week, who, it is claimed, were working for a “foreign state” in a plot to target vital installations. “Sixteen Saudis, an Iranian and a Lebanese were arrested in coordinated and simultaneous operations in four regions of the kingdom,” including the capital Riyadh and the holy city of Mecca, the Saudi interior ministry said in a statement. Wow. Do you feel the bombast in those words “coordinated and simultaneous operations”? The suspects “gathered information on vital installations which they provided to the country” they had been working for, added the Saudi intelligence experts. Iran was not mentioned specifically, but the inclusion of an as-yet unnamed Iranian national is something of a finger of accusation that tries to be subtle, but is, in fact, a clumsy attempt to fabricate. The Lebanon connection can also be seen as a Saudi bid to implicate Hezbollah. That combination is a gauche effort to appear neat, from the Saudi point of view, to resonate with the hoary Western stereotype of Iran and its alleged sponsorship of international terrorism. The purported busting of an alleged Iranian-led spy ring in Saudi Arabia makes for good headlines in the supine Western media. But between the headlines is the unmistakable stench of another dirty tricks operation, aimed at smearing Iran and covering up the reality of Saudi repression and state-sponsored terrorism across the Middle East. Scarcely mentioned in the Western media coverage is that the arrests also involved Saudi nationals from among its Shia population in the country’s Eastern Province. This hard-pressed minority within Saudi Arabia has been holding peaceful protests for political freedoms for the best part of two years, closely aligned with their confessional brothers and sisters in nearby Bahrain. In both Bahrain and Saudi’s oil-rich Eastern Province, the House of Saud has sent its shock troops in to try to crush the movement for democracy with brutal, unremitting repression. Since Saudi forces entered Bahrain in March 2011, up to 100 unarmed civilians have been killed and thousands more mutilated or imprisoned for daring to demand the right to democratic government. Likewise in Saudi Arabia, hundreds have been arrested and thrown into unknown dungeons by the same system of monarchial tyranny that the Western governments have backed to the hilt. What better way to distract from this reality of crushing democracy than to cook up a tall story about a foreign spy ring – and an Iranian spy ring at that. That relocates the problem from one of long-overdue political rights among the population of Bahrain and Saudi Arabia to one of foreign subversion. Irony upon irony, it also diverts from the fact that Saudi Arabia has over the same period been backing terrorists in Syria causing murder and mayhem for the criminal Western objective of regime change. The latest claims by the Saudi authorities bear the usual hallmarks of a psyops smear. Details are all-too vacant and the allegations rely on innuendo and sensationalism. Observers familiar with Bahrain will recognize the tired old pattern of “foreign subversion”. Arrests, accusations, momentary headlines, bombastic claims of probes to “reveal the foreign plotters”… followed, always, by scant substance of anything. Political theatrics that have become ridiculous parody. Recall the “sensational plot” that the Saudis and the Americans made media song and dance of when they accused Iran of trying to assassinate the Saudi ambassador in Washington at the end of 2011. Whatever happened to the follow-up substance to that risible ruse? Or the two hapless Iranians who allegedly were planning an all-out bombing blitz on Israeli properties in Kenya in May 2012? Then there were similar claims by Israeli intelligence of Iranian international terror plots in Georgia, Thailand, India, Azerbaijan and Bulgaria, also last year. 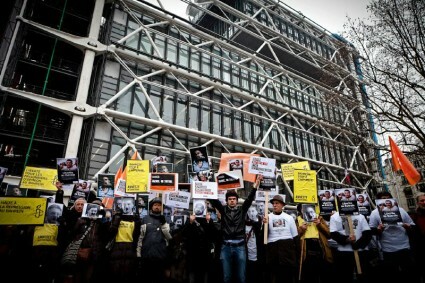 Prisoners of conscience remain behind bars two years on from 2011 protests, said Amnesty International today. Amnesty International supporters demand the release of prisoners of conscience in Bahrain.More people have been imprisoned since then for peacefully expressing their views, whether on social media or by participating in protest marches, a new briefing reveals. “The government of Bahrain cannot carry on imprisoning people simply because it can’t take criticism,” said Hassiba Hadj Sahraoui, Amnesty International’s Middle East and North Africa Programme Deputy Director. Last month, Amnesty International conducted a mission to Bahrain where it met with seven prisoners of conscience detained in Jaw prison. All of them reported they had been jailed on false charges or under laws that repress basic rights. Mahdi’s daughter, Maryam, recently made this appeal for her father. In a series of meetings with government officials, Amnesty International urged the authorities to release all prisoners of conscience, lift restrictions on freedom of expression, association and assembly and bring those who committed human rights abuses against protestors to justice. “No convincing evidence had been submitted to justify these convictions,” said Hassiba Hadj Sahraoui. “It appears that all of those involved were targeted for their anti-government views and for having participated in peaceful protests”. Many of the prisoners of conscience were allegedly tortured in the first weeks of arrests. DUBAI: A Bahrain court on Sunday jailed two policemen for seven years each after convicting them of torturing to death a Shiite detainee in the wake of last year’s crackdown on protests, a local daily said. The Gulf kingdom’s high criminal court found the two national security members guilty of torturing Abdul Karim Fakhrawi to death while in detention, Al-Wasat’s online edition reported. The court had in May thrown out the case against the two defendants for lack of proof and sent it back to the prosecution for further investigation. A number of policemen are being investigated or are on trial for allegedly torturing detainees after hundreds of Shiites were rounded up when security forces in the Sunni-ruled state quelled a month-long protest in mid-March 2011. Authorities say they are implementing the recommendations of an independent commission of inquiry called for by the king that confirmed allegations of excessive use of force by security forces during the uprising. Home to the US Fifth Fleet and strategically situated across the Gulf from Iran, Bahrain still sees sporadic Shiite-led demonstrations, mostly outside the capital Manama. The Bahrain government says it has taken steps to address the brutality of security forces by dismissing those responsible and introducing cameras at police stations to monitor abuses. But little progress has been made in addressing the grievances that led to the protests and talks with the opposition stalled. The Shi’ite opposition wants a constitutional monarchy and a more equitable political system that would allow them to have greater representation, ending decades-old discrimination against them in jobs including the army and security forces. The appeals court also reduced sentences of 15 years in prison that were handed last year to 15 people for the attempted murder of a soldier, vandalizing the buildings at the University of Bahrain and “inciting hatred of the ruling system”, Jishi said. BAHRAIN’s Foreign Minister will hold talks with his British counterpart today during a meeting that could pave the way for additional support with reforms. Among topics on the agenda for the meeting between Shaikh Khalid bin Ahmed Al Khalifa and his opposite number, British Foreign Secretary William Hague, is the relaunch of a joint “working group”. British Ambassador to Bahrain, Iain Lindsay, is accompanying Shaikh Khalid on a visit to the UK and said this year had witnessed an increase in exchanges at the highest levels of government. “We are discussing a range of bilateral regional issues and obviously the situation in Bahrain,” the ambassador told the GDN yesterday in an exclusive interview from London. Details of the initiative are due to be announced after today’s meeting, which is part of an itinerary that will also see Mr Lindsay brief officials in the British government, the UK parliament and Non-Governmental Organisations (NGOs) on the situation in Bahrain. Shaikh Khalid and the UK’s Lord Astor, Parliamentary Under-Secretary of State for the Ministry of Defence, were guests of honour at the annual dinner of the Bahrain Society last night. Meanwhile, Mr Lindsay is due to give a speech today to the Middle East Association – which promotes business and economic ties between Britain and the Middle East and North Africa – prior to a workshop it is holding on business opportunities in Bahrain. “The main focus of the speech I’m giving is on business opportunities and my message is there are business opportunities in Bahrain,” said Mr Lindsay. “We are seeing signs of British companies, new to the market, winning contracts in the last few months, which is very encouraging. “There are a good number of significant infrastructure and business developments, such as the airport development, Bapco’s major capital works project relating to the refinery and Alba with its expansion plans. “There are many British companies in Bahrain and the region, but it’s trying to attract new companies because you need that fresh infusion of blood and Bahrain does have competition aplenty in the region – Dubai, Abu Dhabi and Doha just to name three. During the UK visit, Mr Lindsay will be spelling out to potential investors the situation on the ground, but said “sustainable stability” was key to Bahrain attracting companies looking to break into the region. “People want stability, they want sustainable stability to make those investment decisions,” he explained. “Companies coming into Bahrain will want some reassurance that the business climate, the general political and security climate, is actually getting better – not worse. “There are plenty of places people can go to other than Bahrain and still do business in Bahrain. A Foreign Affairs Committee report found that diplomats allow some countries to get away with abuses that are held against other states. In particular the Foreign Office has exhibited an inexplicable willingness to maintain normal relations with Bahrain, the Gulf kingdom which has faced down pro-democracy protests from its Shia Muslim majority. Opposition activists have accused the authorities of using brute force to crush demonstrations, leading to a number of deaths, arbitrary arrests and torture in prison. The committee continued meetings between government ministers and King Hamid with a principled stand against travel to Ukraine during the European football championships. The report also found fault with the government’s assessment of the risk posed to detainees face with deportation to their home countries. “There are persistent allegations that asylum-seekers who have been returned to Sri Lanka by the UK have suffered torture and ill-treatment. When we tried to explore the issue, the Government was not particularly forthcoming,” it said. A Foreign Office spokesman rejected the criticisms and said the government was committed to placing human rights concerns at the heart of its policy. The MPs also recommended that the government place more visa bans on officials responsible for abuses. The findings said that the government had failed to integrate human rights considerations into its arms and trade policies. BAHRAINI riot police killed a teenager when they fired shotgun pellets during clashes with protesters following a demonstration on Friday, the country’s opposition said yesterday. Thousands rallied in an authorised protest called by the main opposition group al-Wefaq, but as the event ended around 100 people clashed with police. Witnesses said riot police used tear gas and stun grenades to disperse the breakaway group, who, the authorities said, were throwing petrol bombs and wielding iron bars. The police described the incident as a “terrorist attack” on a security patrol that “targeted the lives of members of the patrol”. The police had defended themselves “according to their legal authority”, a statement said, confirming a protester had died. 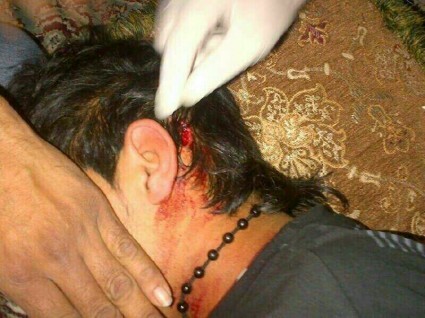 Al-Wefaq named the dead protester as 17-year-old Ali Hussain Nima and photographs show a body covered in blood and flecked with birdshot wounds. He is the second protester in six weeks to die at the hands of Bahraini police. Bahrain, headquarters of the US Navy’s Fifth Fleet, has been in turmoil since mass demonstrations started at the height of Arab Spring unrest last year, led by its Shia Muslim majority. The protests were put down by the Sunni monarchy, which imposed martial law and asked Saudi Arabia to send troops in support. In mid-August, a 16-year-old protester was killed in a similar incident, when ­police opened fire with birdshot during clashes after a demonstration, opposition activists said. The opposition said more than 45 people have been killed in protests since martial law was lifted in June 2011. The interior ministry said protesters have injured more than 700 police officers and that the authorities have exercised restraint.